Glass Gobo is 1 ~ 3 sheet of glasses overlapping. One glass sheet can only make one color （Monotone）.The price changes depending on the number of sheets of the glass board used. If 3 colors gobo cannot correspond your image you can make full color gobo. (From monotone color to full color gobo, delicate design on glass gobo is possible.) The full color CMY can even make photograph on gobo. The custom design like customer's original design, corporate logo mark, and photographic imagery, etc., we will relay it and send the image to customers to confirm. We accept order from customers even one piece of gobo. 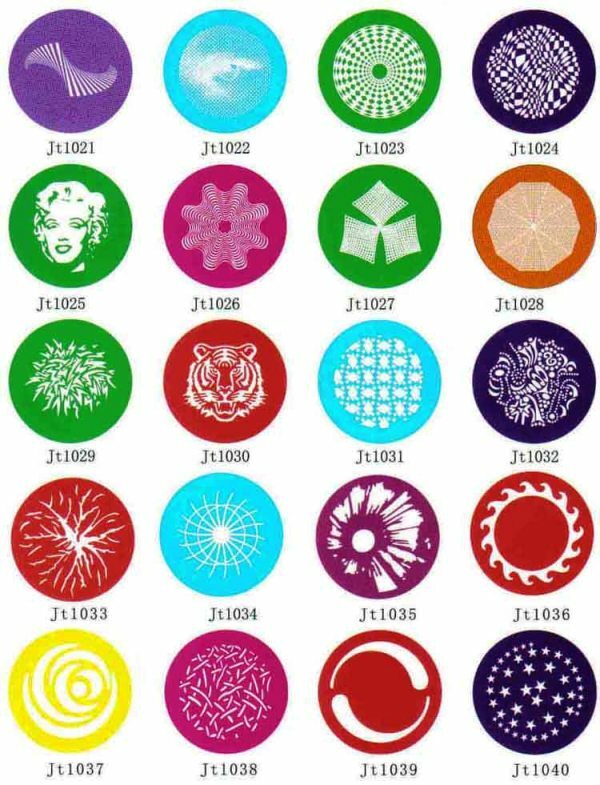 We produce gobo with the technology of high accuracy of 0.1mm. Taiwan Tong-Da Industry Co.,LTD Image Projector online store.